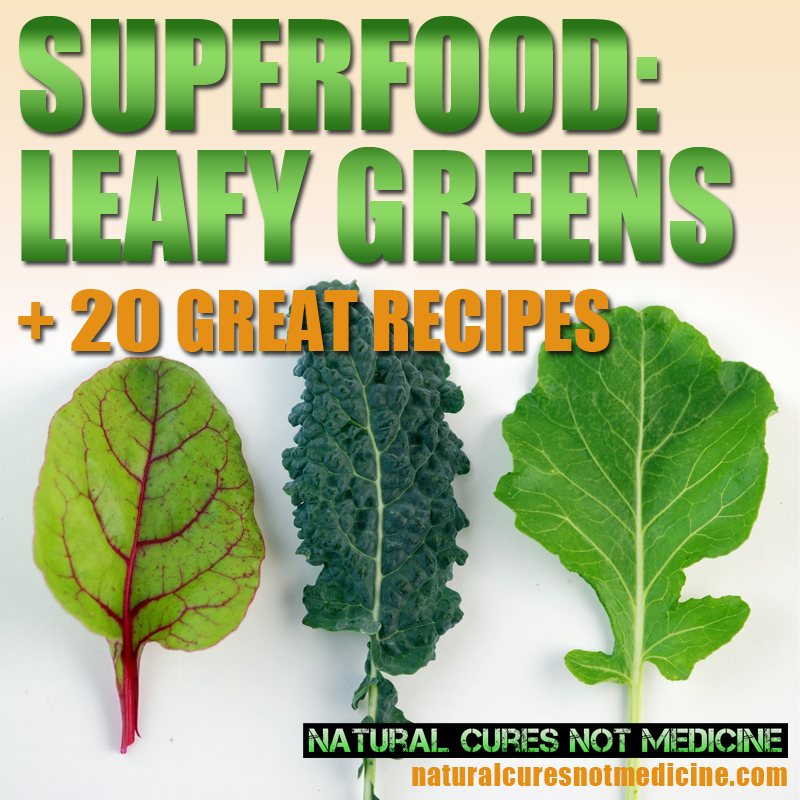 Leafy greens are one of the most nutritious, inexpensive and easy to cook real foods! They're also very tasty and one of the simpler things to cook. Leafy greens are available for a large part of the year in one form or another and are usually available at most farmers markets for great prices. 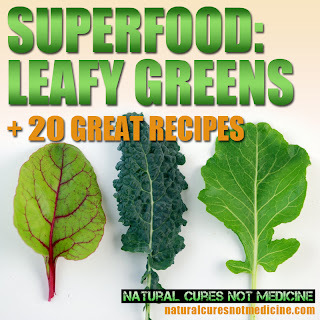 Below you find some great recipes, tips and nutritional facts for leafy greens! NUTRITIOUS- Lots of nutrients in just one serving! Vitamins, essential minerals, fiber and much more. VERSATILE- Easy to add to lots of different recipes. Like smoothies for breakfast, salad at lunch, sauteed at dinner. Not many foods can compare to the high nutritional value of leafy greens. Researchers are finding that eating your greens may be even more important than previously imagined. In putting together this article I found lots of quotes that stated "it was common for our ancient ancestors to eat up to six pounds of leaves per day". I could not find a accredited source for the quote but I can see that it makes sense. Recent research shows that a gene that is essential for producing critical immune cells in your gut, responds to the food you eat—specifically leafy green vegetables (Dr. Mercola). When choosing your greens, the number one rule is to look for leaves that are crisp. You want to hear a slight snap when you crack the stems. If they are wilted, soggy, or slimy, keep looking. Ideally, they have been stored in a cool place but watch out for greens stored in ice. Greens are loaded with water. Ice can crystallize the water and the greens may end up mushy by the time you get them home. Color is also important. If you have a choice, pick the darkest leaves. Don't worry about a few brown spots, that's perfectly normal, especially at the farmers markets. However, if the edges are consistently brown throughout all the leaves you may want to pass. Last but not least, is smell. The leaves should smell fresh and, well, really green! A lot of people (me included) love the taste of bitter greens. I especially like to pair them as a side dish with a rich, fatty main course like a grass-fed rib eye, or a hearty lamb stew. The bitter greens cut through the fattiness of the main course and bring a nice balance to the plate. But there's also many ways to temper the bitterness of leafy greens by adding golden raisins for sweetness or some toasted pine nuts or sesame seeds for richness. This can completely transform the dish and if you get creative you'll find something that even the pickiest of eaters will love. On the more sturdy greens like Kale and Collards you'll probably want to remove the leaves for the stalks. I do this for Swiss Chard as well. You can cut the stalks away or just rip the leaves off. The stalks can be used for stocks, or in the case of Swiss Chard I just cut them up into bite size pieces and saute them for about 5 minutes to make them tender before adding the greens to the pan. Do you have more Recipes? Got Grandms'a favorite recipe stashed away somewhere? Did you come up with something brilliant while experimenting? Found a way to get your kids to eat Kale? Please use the comment section at the bottom of the page to contribute to this list!